Set teak nightstands designed by Louis van Teeffelen for Wébé furniture in the 60s. 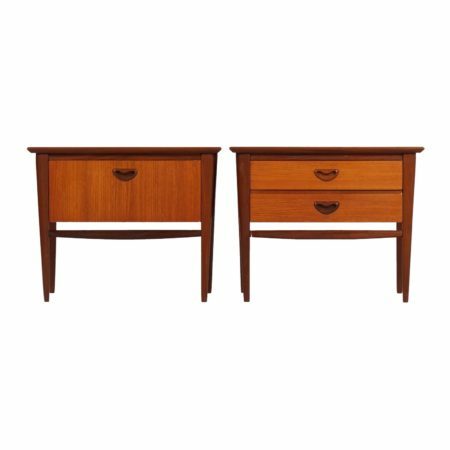 Considering the age, these vintage bedside tables are still in good condition; some discoloration at the top from a rug (see photos). Source; Catalog Wébé, Louis van Teeffelen 1962. The price is for the set.